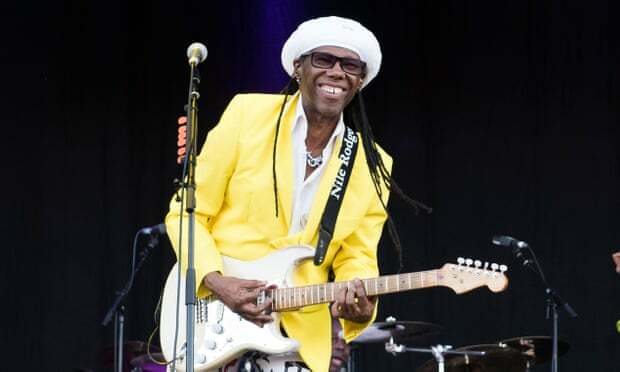 Nile Rodgers has been announced as the curator of this summer’s Meltdown festival, the annual event at London’s Southbank Centre which sees a prominent musician given free rein to book a series of gigs and events which reflect their own interests. The Chic singer will produce a “hand-picked lineup of show-stopping music, art and free events” from 3 to 11 August at the Royal Festival Hall and other Southbank Centre venues. “To be able to curate and produce nine days of live music for the city of London, the UK and music enthusiasts visiting from all over the world is truly a dream come true,” Rodgers said. Rodgers’ career has spanned the last half century of music, with the workaholic musician being involved in some of the most recognisable songs of the 1970s and 1980s. In addition to writing Chic’s Good Times, one of the most sampled tracks in history, he co-wrote and produced the hits He’s The Greatest Dancer and We Are Family for Sister Sledge, in addition to producing the albums Let’s Dance for David Bowie and Like A Virgin for Madonna.